Hearthstone is an online TCG (Trading Card Game) made and owned by Blizzard Entertainment, the same company that also owns other leading games such as Overwatch, StarCraft 2 and Warcraft. Hearthstone’s characters, cards and classes are all based off the Warcraft franchise, players face off in a variety of different game modes with most being of the PVP (Player vs Player) variety. Currently only Bet365 have markets open for betting on Hearthstone esports tournaments. These betting markets range from Match Winner (Head-to-Head, Moneyline, Straight), and outright markets – which competitor will reach the final and which competitor will win the tournament. With the game attracting such a wide fanbase, larger tournaments and a greater prize pool, it is expected that many other companies will adopt this in to their regular markets and it is expected more unique betting markets may start to appear. such as first to lose health, player to go first or second or first player to summon a legendary card. The main objective of Hearthstone is to reduce your opponent’s health points to zero while ensuring you opponent does not do the same to you. Hearthstone differentiates itself from most other leading trading card games such as YU-GI- OH, Magic the Gathering and Pokémon TCG in the fact it is online only – completely digital, with no physical counterpart. Basically, there are no cards you can purchase and collect in person, and this allows fans of the game to solely invest in one form of card collecting whereas other trading card games try and play both markets. Hearthstone also uses the online only play to differentiate itself by having the player choose a Hero that they feel best represents them, these heroes are of many different classes, have access to different cards and unique class abilities. Hearthstone’s simplicity is demonstrated in its rules. Each turn players have a certain mana pool, which grows by 1 each turn. Cards that can attack and defend are called minions and have a mana cost, restricting overpowered cards from being played in the first turn – which is a common occurrence and criticism in YU-GI-OH. Minions also have an attack strength and a health pool and can either choose to attack another minion or choose to attack the Hero directly. This may seem minor, but it opens a wide variety of strategic options and tactics for the players. The typical dilemma of the standard Hearthstone game is whether you attack the hero to lead you directly closer to the goal of reducing all 30 health points of your opponent and winning, or whether to attack other enemy minions to try and establish overall board control. In high-level esports play, the best pro players balance both options. Hearthstone was quick to launch itself into the competitive scene, with series creator Blizzard Entertainment only waiting a few months from its closed beta release to host their first major tournament at the annual Blizzcon gaming convention in 2013. Blizzard selected 8 players to compete in the first tournament, with the professional Starcraft commentator Artosis taking out the title “Grandmaster of Hearth” after winning nine of 12 matches. Things moved quickly the following year with over US$1 million in prize money awarded over 52 different tournaments held throughout the year. Moving forward to 2018, Hearthstone has no plans of slowing down. Blizzard kicked off the new year with the 4th Annual HCT (Hearthstone Championship Tour) World Championship, which commenced on January 18. A total of 16 players whom qualified through various events throughout 2017 will be playing for their share in US $1 million in a live tournament held in Amsterdam, spread out over 4 days. Whoever takes first place will take home $250,000, but even placing 16th will still see a player walk away with a cool $25,000. Blizzard and the Hearthstone team have already confirmed they will be revamping the esports scene surrounding the title, promising lots of competitive tournaments in unique locations. Blizzard have already confirmed their first ever Hearthstone Championship Tour event will be held in Sydney, Australia, commencing late February. Like all competitive multiplayer games that got into the esports big leagues, there is a significant amount of game jargon and terminology employed by professional players and popularised by the passionate fanbase. 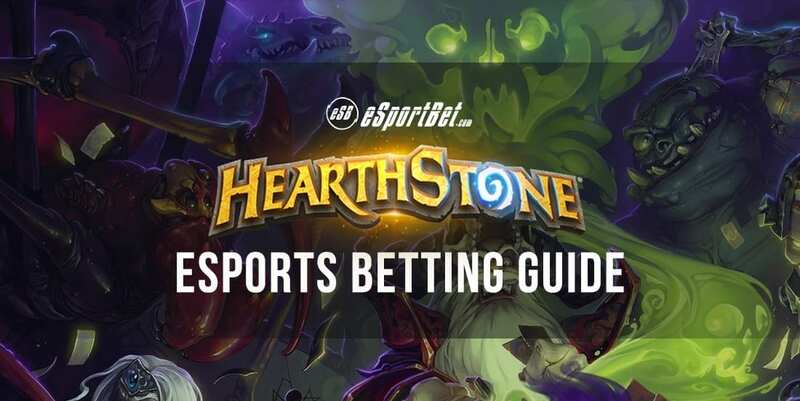 If you need to brush up on the lingo, we have a summary of the terms you need to familiarise yourself with before watching and betting on the typical Hearthstone esports match. Adapt: Choose one of three bonuses. Battlecry: Does something when you play it from your hand. Choose One: Oddly doesn’t have an official in-game definition, but you are offered two options to choose from. This is currently limited to the Druid class. Combo: A bonus if you already played a card this turn. Currently limited to the Rogue class. Counter: A card that is Countered has no effect. Currently the only card that has this keyword is Counterspell. Deathrattle: Does something when it dies. Discover: Choose one of three cards to add to your hand. Divine Shield: The first time a shielded minion takes damage, ignore it. Enrage: While damaged, this minion has a new power. Freeze: Frozen characters lose their next attack. Immune: Immune characters can’t be damaged. Inspire: Does something after you use your Hero Power. Jade Golem: Your first Jade Golem is 1/1. Each future one has +1/+1. Mega-Windfury: Can attack four times a turn. Overload: You have X less mana next turn. Poisonous: Destroy any minion damaged by this. Quest: Starts in your hand. Complete for a reward. Secret: Hidden until a specific action occurs on your opponent’s turn. Spell Damage: Your spell cards deal 1 extra damage. Stealth: Can’t be attacked or targeted until it deals damage. Taunt: Enemies must attack minions that have Taunt. Windfury: Can attack twice each turn.